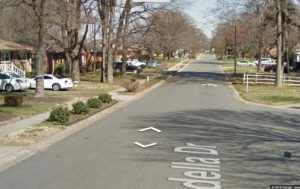 Hidden Valley is a frequently publicized Charlotte neighborhood. In the past, this neighborhood was frequently associated with certain criminal elements. More recently, however, this area has been going through a revitalization. Read on to learn more about the current state of the neighborhood and what it has to offer in the future. If you’re the sort of person that likes to go out at night, you’ll definitely appreciate the nightlife in Hidden Valley. This can be an exciting area to be in, especially after dusk. You’ll have a lot of fun exploring the neighborhood and seeing some of the things it has to offer. Although Hidden Valley isn’t Charlotte’s safest neighborhood, it’s worth noting that crime rates in the area have been steadily decreasing. Law enforcement officers have worked hard to address the source of Hidden Valley’s crime problems. They’ve worked to make it a safer and more pleasant place to be. Take a look at the crime data for Hidden Valley. If you do, you’ll see that the area isn’t as dangerous as you might think. Learn more about crime in the area and see if you’re comfortable with the area’s current crime rates. There have been a number of new developments in Hidden Valley over the years. Because of this, property values have been going up for a while now. It’s likely that property values will continue to increase in the future. If you buy a property in the area now, you can expect it to see a huge increase in value. Buying a home is an investment, and you should try to find investments that will pay off for you. If you purchase property in Hidden Valley now, you’ll see the value of your investment grow and grow. Now is a wonderful time to move into the Hidden Valley area. If you’re looking at homes in Charlotte, you shouldn’t necessarily rule this neighborhood out. If you learn more about the neighborhood’s present state, you’ll be able to decide whether or not this is a place you’d be happy living in.